I have almost finished the Christmas knitting that I gave to my husband (incomplete at the time). 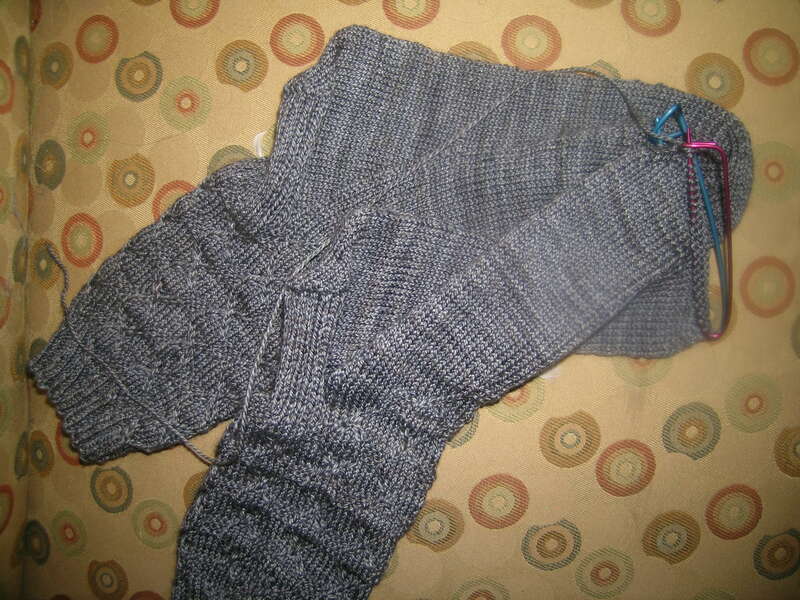 The socks would be done, but for the fact that I was a few yards shy of completing them. Thanks to a Ravelry friend, I will be able to finish the last toe next week. 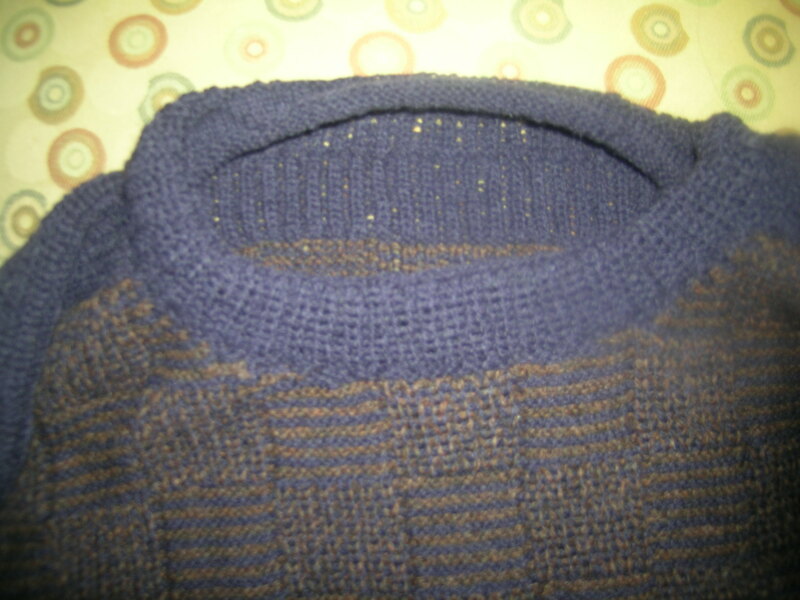 Then, I located the yarn, after an exhaustive search, and looked at the photos online. 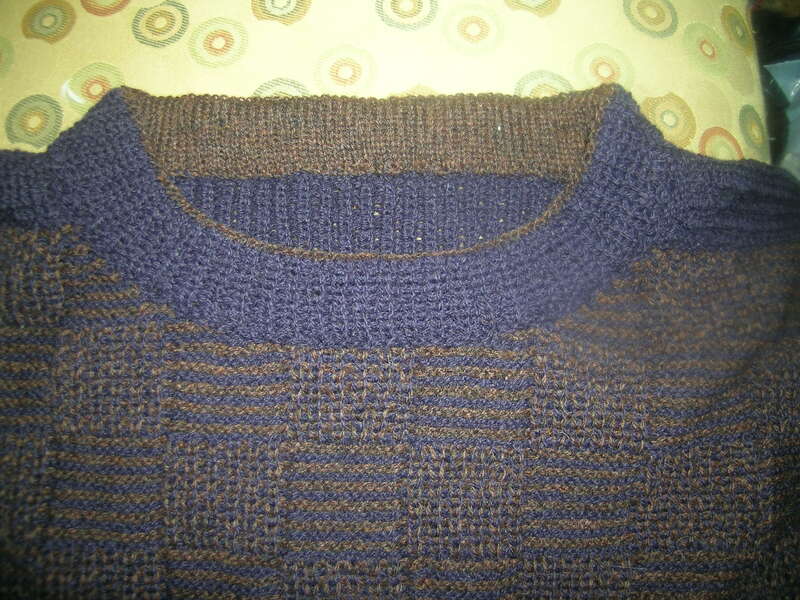 It is much better with the single row of contrast at the top of the collar, so I ripped it out, reknit it and sewed it down. I am happy that I did so. Hopefully my husband modeling this tomorrow. The Chess sweater looks great – you are right about the row of contrast on the colour. Not sure I have the patience for Hanne Falkenberg designs, but they do look good. Thanks, I love this sweater. Hanne patterns are an enormous amount of knitting, great for vacations as the beach. I have one more of hers to finish, then on to some Fair Isle.